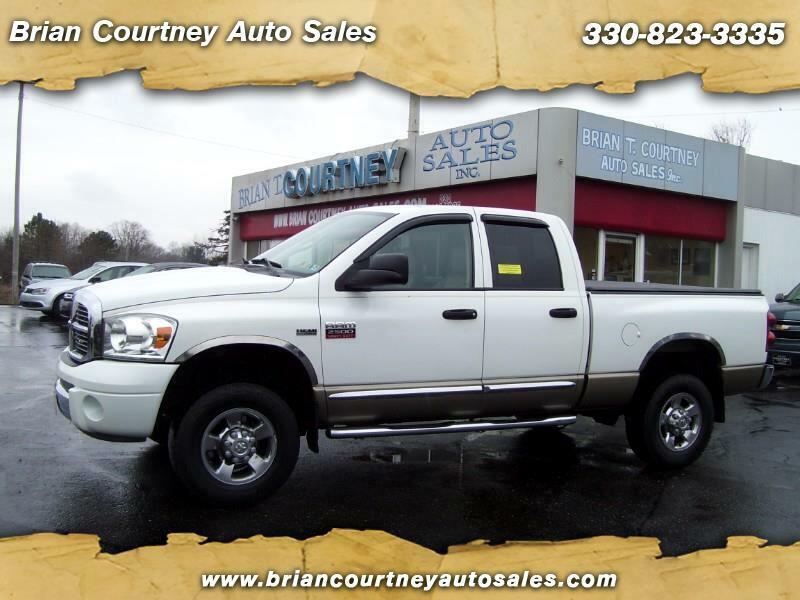 HEMI QUAD CAB 4WD 2500 LARAMIE !!! HEATED LEATHER SEATS !! Automatic, A/C, Tilt, Cruise, Power Locks, Windows, Mirrors and Seats, Infinity Cd Player with Aux Jack, Alloy Wheels, New Brakes, MOOG Ball Joints, Power Pedals, Spray-in Bed Liner, Tonneau Cover, Chrome Step Bars, Power Rear Sliding Window, Remote Start, Remote Entry, Fresh Oil Change and a Nationwide 3 Month/4,500 Mile Warranty Included ! !